MARINE BOAT ANCHOR WINDLASS RETURN TOGGLE SWITCH ALUMINUM PLATE 2 WAY LED LIGHT by Pactrade Marine at Breezin Thru Charters. MPN: 4333809441. Hurry! Limited time offer. Offer valid only while supplies last. Made of Aluminum with Toggle switch. Allows windlass operation form remote station 12 VDC Amp: 5Ax1 LED light illuminates during operation. Made of Aluminum with Toggle switch. 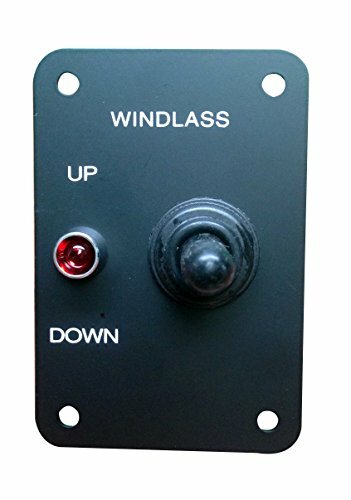 Allows windlass operation form remote station 12 VDC Amp: 5Ax1 LED light illuminates during operation. Dimensions: 2" by 3"